Scuba diving has surged in popularity in South Florida in recent years, particularly as baby boomers boomerang back into the activity after spending years away. While scuba diving accidents – particularly scuba diving deaths – are statistically relatively rare, increased interest has meant there are more operators, and more chances for something to go wrong. 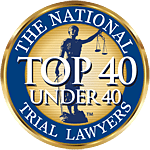 At Associates and Bruce L. Scheiner, Attorneys for the Injured, our experienced Fort Myers personal injury lawyers will work with victims of scuba diving accidents in Southwest Florida to determine whether there is a viable claim and if so, to identify all possible defendants to maximize compensation. Medical investigation looks at the diver’s health and medical factors. Equipment investigation explores the potential hardware issues that might have contributed to an accident or death. Procedural investigations examine whether the diver followed his or her training, was properly prepared with the right equipment or went diving in conditions that were beyond the training or experience level. Procedural problems are reportedly more common than those involving equipment, but identifying exact causes can be difficult. The research group noted in many cases, the main cause of death may not be identified. Although diving may be inherently risky, with divers undertaking the activity aware of certain adverse consequences, individuals or businesses that offer diving excursions still owe a duty of care to patrons to ensure they are properly equipped and trained and that procedures are in place to prevent undue risk. Many of the scuba diving accidents that occur in the U.S. occur in or around Florida, because it is such a popular diving destination. Numerous fatal Florida diving accidents result in litigation, with representatives of decedent’s personal estates seeking compensation from the diving instructor, boat owners, excursion operators and/or equipment manufacturers. One of those involved a 37-year-old Canadian filmmaker who died off the cost of the Florida Keys in 2017 while filming a documentary on sharks. The filmmaker’s family alleged the dive organizer and filmmaker surfaced at around the same time with breathing difficulties, but rescue efforts were centered on the dive organizer, while the filmmaker slipped away. His body was found three days later. In 2016, two experienced divers died in Eagle’s Nest Cave in Hernando County, where authorities reported 10 people have died in scuba diving accidents since 1981. Warnings are posted in the area notifying divers that only those highly-trained should enter. Their bodies were found some 125 feet below the surface. In another Florida case, Diodato v. Islamorada Asset Management, Inc., Florida’s Third District Court of Appeal reversed an earlier summary judgment favoring defendants in a scuba diving accident. In that case, decedent’s estate sued a recreational scuba diving company after she drowned off the cost of Islamorada. Although decedent had signed liability waivers before venturing out in previous dives, she arrived late to this particular one and was not required to sign a waiver. It was an advanced wreck dive (unlike open-water dives she had done previously). After submerging about 10 feet, she indicated to her instructor that she wanted to return to the surface. The instructor reportedly followed her up, but did not help her get back onto the boat. While trying to get on the boat, decedent lost hold of the line, drifted away and drowned. Defendant argued previous liability waivers were a shield from liability in this incident, noting that language in the release indicated it was good for one year, the 3rd DCA disagreed. Decedent did not initial the one-year provision. With regard to the earlier releases, the court deemed their scope to be ambiguous. As noted by the Florida Fish & Wildlife Conservation Commission (FWC), the “divers-down” flag or buoy is necessary whenever people are snorkeling or diving. These signals need to be prominently displayed, and are a critical means of alerting boaters when people are under the surface, to give divers plenty of room. Failure to use these signals could also be a form of negligence. A diving accident can result in serious and lasting injuries and even fatalities, as these cases have shown. Although diver error is often cited as a top contributing factor in these incidents, with number of dives in the last 12 months directly correlative to higher incidents of death, recreational diving companies are responsible to take this into account when agreeing to accept newcomers on excursions. The question raised in court will be not necessarily whether there was a poor outcome, but whether the dive company/ boat owner/ dive organizer was negligent in failing to act as a reasonably prudent operator would. If you signed a waiver of liability before your dive, that could make it more difficult to pursue your claim, but it doesn’t automatically mean there is no hope, as the Diodato case showed. Waivers of liability have been successfully challenged in numerous injury and wrongful death cases in Florida. If you or a loved one has been affected by a scuba diving accident in Southwest Florida, our dedicated Fort Myers injury attorneys can help you weigh your legal options.